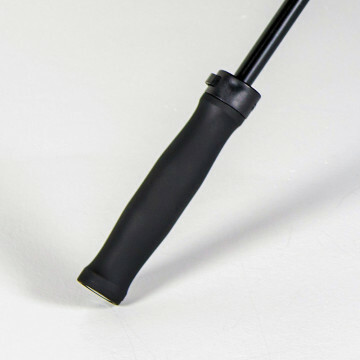 Über Brolly Automatic Golf Printed Umbrellas are one of the most tough, strong and durable golf umbrellas out there. 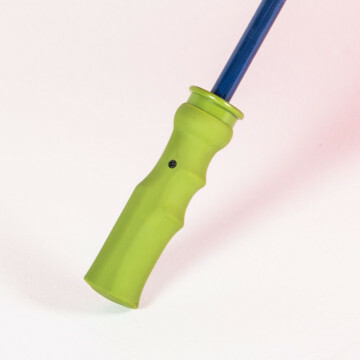 This umbrella comprises of an upgraded push-button open and close system and our unique Fibre-Storm® technology so that you can be confident it will withstand the full force of the UK weather. 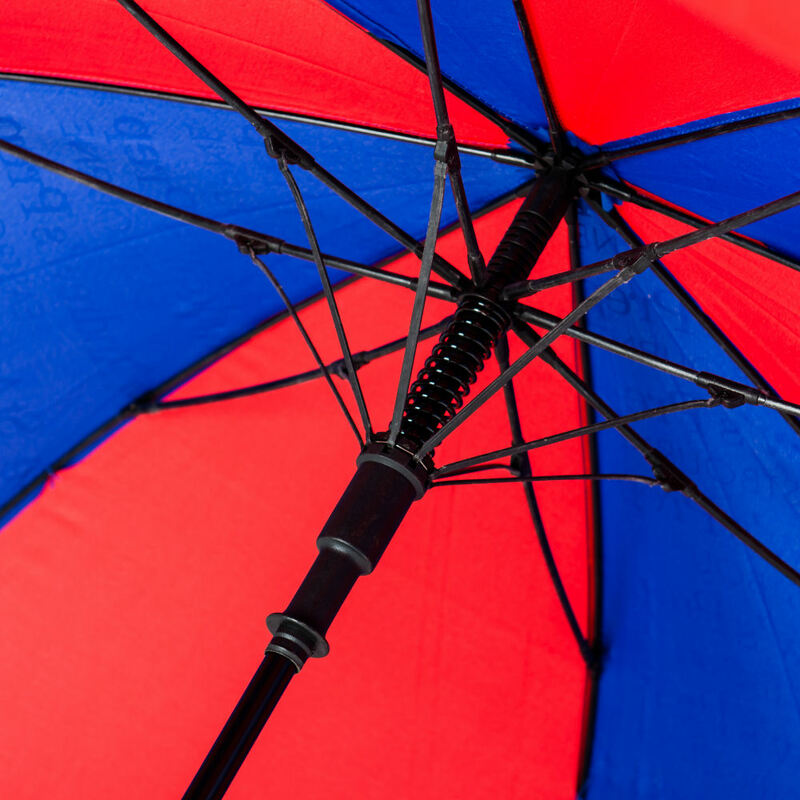 Its full fibreglass frame, shaft and ribs makes this umbrella storm-proof and we can guarantee that our Fibre-Storm® umbrellas really will last. The Über Brolly Automatic Golf Umbrella comes with a nice-to-hold non-slip Seno rubber handle which comes in a wide range of colours. Plus you get an integrated canopy clip so neatly keep your umbrella closed. As these are part of our exclusive Über Brolly range, these printed umbrellas are supplied with a performance guarantee so you can rely on their quality and durability. If your brand is on a product, you want that product to last, perform and impress. Our FULL PERFORMANCE GUARANTEES give you complete reassurance and peace of mind, a promise from us to you of exceptional quality. 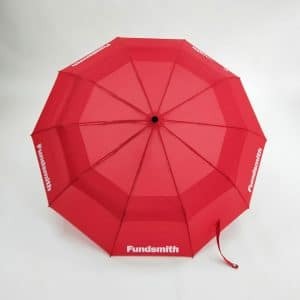 These printed umbrellas have 8 panels in your choice of over 40 colour(s) and can be customised with your logo and branding via screen-printing, although digital printing if available for more complicated designs. 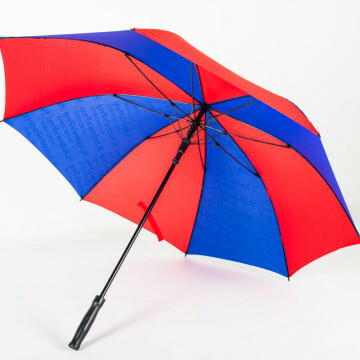 If you are looking for similar printed umbrellas but with the added reassurance of vents for the ultimate in stablility take a look at Über Brolly Vented Fibre-Storm® Golf Umbrella. 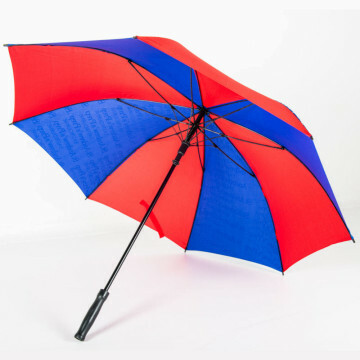 For the ultimate of quality then why not check out our even more durable and deluxe version: the Über Brolly Über Golf Umbrella. We custom-make all of our printed umbrellas which allows us to easily – and cheaply – add different finishes, umbrella components or branding options to your personalised umbrella. As part of our service we are on hand to advise and guide you so if the number of options are a bit overwhelming just give us a call. We would be happy to offer some friendly guidance on what would work best for your brand as well as within your budget because it is important to us for you to get your branding effectively communicated. 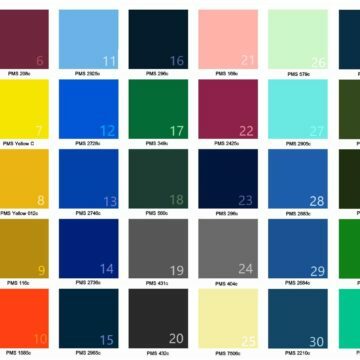 Why not take a browse and see what finishes and printing techniques you could adopt to therefore make your printed umbrellas truly stand out from the crowd.